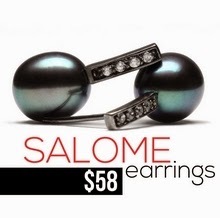 There is nothing more rewarding for jewelry designers than happy wearers of their beautiful pieces. Sometimes this recognition comes with tons of advertising and huge billboards sprinkled around large cities worldwide. Often, however, talented beginners and smaller workshops of the jewelry industry cannot afford to hire Kate Moss to strike a pose with their newest ring or bracelet. In such times, industry awards can be very helpful. AGTA Spectrum Awards is an annual natural colored gemstone and cultured pearl jewelry design competition. Organized by American Gemstone Trade Association, it was first launched in 1984. Since then, it has gained the reputation of being one of the finest jewelry and gemstone competition in the world. Participants are evaluated for their creativity, workmanship, and innovation. Winners set the standards of excellence for the entire industry and gain extraordinary exposure of their work. This year's winner in the category "Best Use of Pearls", Llyn L. Strelau from Canada conquered the jury's hearts with her sculpture entitled "Who Are You". 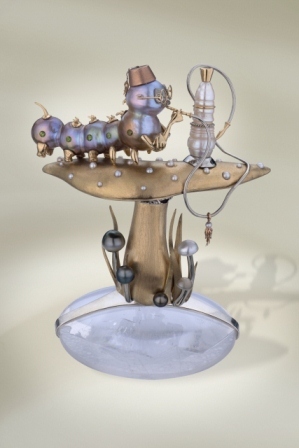 The piece, featuring Freshwater, South Sea and Akoya pearls, has been inspired by "Alice in Wonderland". A new interpretation of Blue Caterpillar that I particularly enjoy! In the "Classical" category, the prize went to Christopher Duquet. 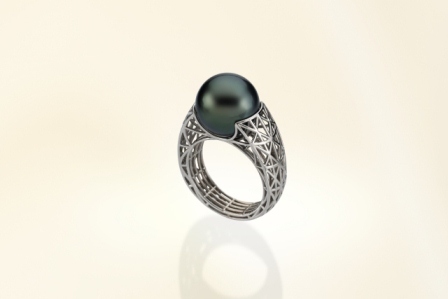 His metropolis-inspired white gold ring with a single black South Sea pearl is a contemporary interpretation of traditional staple jewelry. The best place to wear it may be in Paris of course, for its structural resemblance to the Eiffel Tower. Laura Jackowski-Dickson was awarded with manufacturing honors in the "Evening Wear" category for her stunning gold cuff. 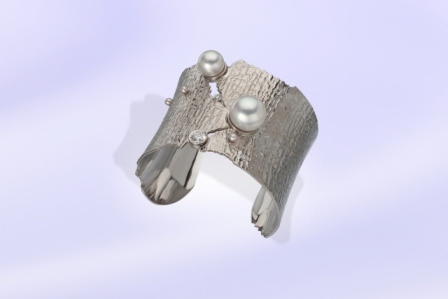 The piece features two South Sea cultured pearls, four Freshwater pink cultured pearls, and diamonds to compliment the soft gleam of pearls with a sharp sparkle of faceted stones. I’m really happy to see that pearl jewels are changing and becoming bolder. New, daring designs, contemporary outlooks, and playfulness of associations are all signs of a new, more adventurous approach towards pearls. No offence to the white single strand, but it’s time to make some room for some fresh designs! Lovely designs! I wonder how much Mr Duquet would charge for his beautiful ring. Happy New Year of the Rabbit!